"Independently Family Locally Owned and Operated"
Thanks for visiting. 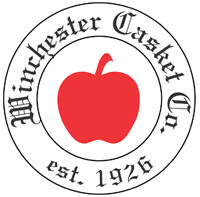 The personalized service that we offer to our families include but are not limited to burial, graveside, sending remains long distance, cremation both simple and complex, memorial services, casket, urns, urn vaults, burial vaults and a large array of keepsakes including custom made. In addition we over pet funeral and cremation services to help assist our families we service with a loss of one of their pets. We want to make sure that every flower, plant and spray order by our families, extended family, and friends look their best. That is why we only accept flowers the day of the viewing/visitation or if the visitation is an hour prior to service then with arrangements from the florist with the funeral home the day prior to service. We can not assure that flowers will look fresh if they are delivered 2 and 3 days prior to this and have seen families and our families get upset when flower are delivered and don't look fresh. 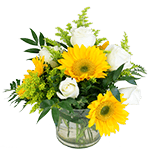 When delivering on week ends we ask that you call to make sure that the flower room delivery door is open if visitations or services are on Monday. All of our local Waynesboro and Perry County Florists, along with our firm have found these few tips to help make sure that the flowers for funerals look the best. Thank you for your help in this matter. The lighthouse first appeared on Ancient Egypt several Millennia ago, about 1000 B.C. originally, the brick towers with large fires atop them served as beacons to the faithful, guiding them to sites of religious ceremonies. They evolved to serve a different purpose. Sailors relied on the beacon for guidance. Their size, shape, and operations may vary, but to the mariner the dependable service was reassuring. Just like mariners centuries ago, today’s sailors sometime use the lighthouse’s beacon for safe passage from dangerous and turbulent waters into safe harbors. Historically, the lighthouse has been credited with saving many lives and immeasurable cost of merchandise. Like the meaning of the lighthouse, we too feel that it is our task to help guide the families we service through the many rough and hard waters of making funeral or cremation arrangements. It is the job of the directors and staff to help in the guidance of families through these rough waters. This is why Mr. Lochstampfor believes strongly that there are no dumb or wrong questions other than the ones never asked. Our funeral homes work with CORE (Center for Organ Recovery and Education) Pittsburgh in aiding families who select this choice in transportation of their love one so that their gift can be received.